ComForCare is one of North America’s leading home care franchise companies, operating 200 territories throughout the U.S., Canada and the United Kingdom. 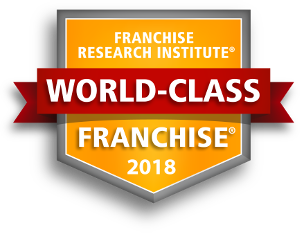 ComForCare® has received World-Class Franchise® certification from the Franchise Research Institute® for the Tenth Consecutive Year based on exceptional franchisee satisfaction! In short, ComForCare is unique because we deliver proactive and engaged care, with innovative programs that empower everyone in the family to live their best life possible. ComForCare currently has over 400 territories available throughout the US and is actively awarding franchises to qualified entrepreneurs that share the same passion for care that we do and that wish to be the leaders in their respective markets. Visit us today and find out of your area is available. "CFC home office responds quickly and helps to resolve issues that come up in my business. We have good field support and guidance." "I have the ability to contact and speak with anyone at Corporate. The friendliness and willingness of corporate staff to listen and provide information or assistance is second to none." "Home office staff is always available and helpful. The entire team is great to work with and supportive. Stephen Greenwald especially so, but everyone is great." "I appreciate ComForCare's commitment to quality, their ongoing franchisee support, their proprietary marketing programs (Dementia Wise & Joyful Memories), and their relationships with our National Alliances partners." "I like the support that is available to me and my team as needed. I also like the forward thinking of the Franchisor and the preparation for future growth for all franchisees. The regional conferences and the annual conferences are well prepared and disseminate value information to each franchise owner for positive potential development of each office. I like that the support teams are approachable and respond very timely to franchisees." "It has the feel of a large corporation that is backing us 100%. Quality is a major focus both from a business and client perspective. They invest in things to help us be more successful - i.e. 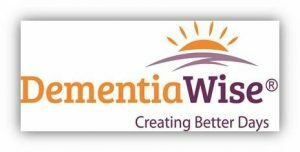 DementiaWise, high quality presenters at National meetings." "They are genuinely interested and motivated to improve the overall business nationally, and are investing in improvements that should help our image in our community." To obtain your FREE report about ComForcare, please fill out the form here.